Dr. DeWitt C. Baldwin Jr. The Interprofessional Community Clinic (ICC) is a unique and valuable clinical opportunity for RFU students and influences local communities to ensure a healthier population. 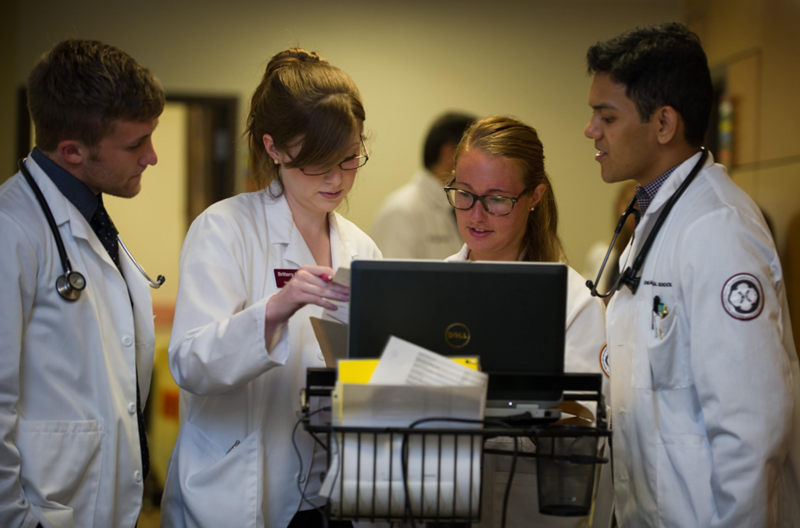 Founded in 2013 by students from the Chicago Medical School, the ICC now has students from the following degree programs working together in interprofessional teams to provide accessible, quality healthcare to non-insured residents of the surrounding communities. The clinic is open Thursday evenings from 4:00-8:00 pm in the Rosalind Franklin University Health Clinics adjacent to the university campus in North Chicago. The clinic’s evening hours allow patients to see several different healthcare providers in one visit, which benefits individuals lacking paid time-off from work, transportation or child care during the day. For students, the Interprofessional Community Clinic serves as a welcome complement to their long hours of study. It also helps students relate to their ultimate goal of being a healthcare provider during the didactic years of their program of study. 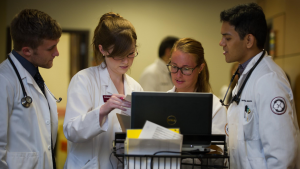 Students can participate at the clinic; join the student organization, the Interprofessional Clinic Initiative (ICI) that facilitates the operation of the clinic or do both. For more information about the ICC’s unique model of service, clinical practice and student initiative, contact the Interprofessional Clinic Initiative at ici@rosalindfranklin.edu.